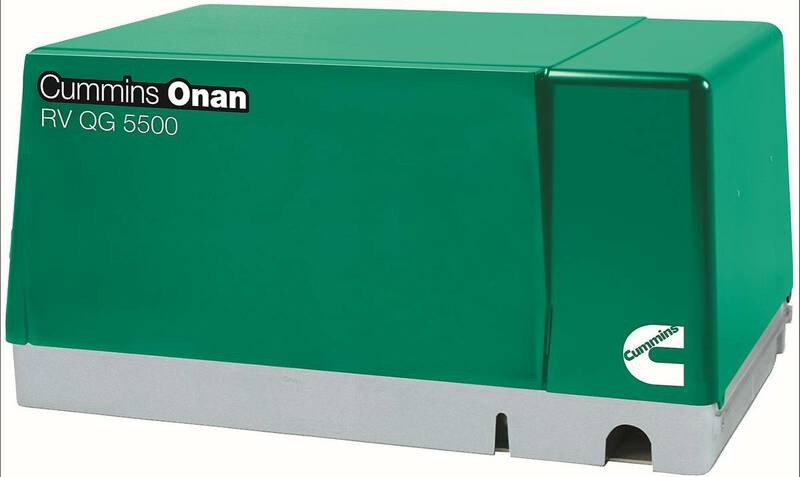 Ideal for the RV owner who is looking for a quiet generator that packs a power punch, the Cummins Onan 5.5 HGJ-AB/ 1119 RV generator set RV QG 5500 LP Propane generator has the power capacity to run one or two air conditioners with power to spare. This generator is the quietest in its class and features easy installation. The self-diagnostic capability makes troubleshooting simple and the digital voltage regulator prevents damaging voltage spikes. Rest easy as this generator's digital voltage regulation for stability will kick in as appliance loads change. The 4-Point focalized mounting system with vibration isolators results in exceptionally low vibration levels. Colorado Standby puts their trust in Cummins Onan to produce a superior product because Cummins Onan has been creating generators since 1920 and has set the standard for excellence. If you're feeling intimidated with the generator options available, Colorado Standby can help. We understand the selection process can be overwhelming and are happy to offer our expertise. We have nearly two decades of experience in the field and are confident we can help you determine exactly what you need based on the what you have and that fits within your budget. Colorado Standby's knowledgeable and experienced staff, our free shipping, and our wide selection of in-stock items makes choosing us for your RV generator needs a no-brainer. View our complete selection of propane generators for RV.